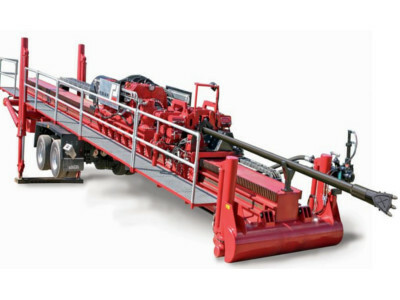 Drilling machine with a pulling force of 250 tons installed on a circular platform adapted for transport tractor unit . It is now the largest and strongest horizontal drilling rig in Poland . length max . L = ~ 2900mb . for steel pipes and PE diameter max. Ø 1500mm .